Paul Manafort violated his plea agreement by lying to federal prosecutors, say Special Counsel Robert Mueller and Manafort's attorneys. Special Counsel Robert Mueller and defense attorneys for Paul Manafort said on Monday that President Donald Trump’s one-time campaign chairman violated his plea agreement by lying to federal prosecutors, The Hill reports. “After signing the plea agreement, Manafort committed federal crimes by lying to the Federal Bureau of Investigation and the Special Counsel’s Office on a variety of subject matters, which constitute breaches of the agreement,” said a joint status report filed late Monday. Mueller’s prosecutors have asked the judge to schedule a date for sentencing, according to the report. In September, Manafort agreed to cooperate with the Justice Department, including in Mueller's investigation of Russian interference in the 2016 presidential election. In exchange, Manafort pleaded guilty to one count of conspiracy against the US and one count of conspiracy to obstruct justice due to attempts to tamper with witnesses. 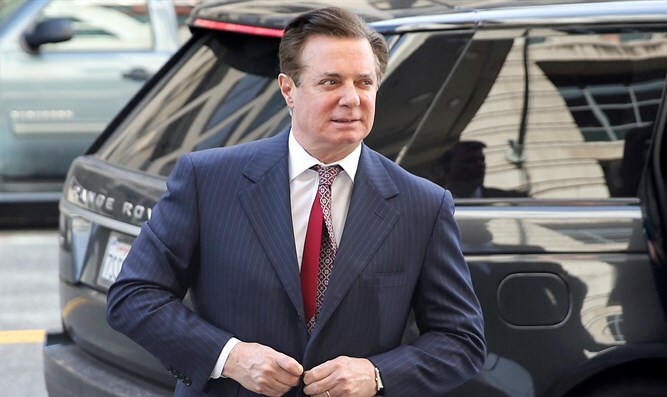 As part of the plea agreement, Manafort pled guilty to two felony charges related to his foreign lobbying efforts and agreed to fully cooperate with Mueller’s sprawling investigation into Russian interference in the 2016 election. He had been working with the special counsel for roughly two and a half months. In the Monday filing, the parties said Manafort met with Mueller’s officials “numerous times” following his plea deal and that he believes his answers to be truthful and not constituting a breach of the agreement. Manafort is one of several Trump associates ensnared in the special counsel’s investigation into Russian interference. Others who have pleaded guilty and agreed to cooperate include former Trump campaign adviser George Papadopoulos, former national security adviser Michael Flynn, and Richard Gates, Manafort’s former business partner who also worked on the campaign and briefly on the presidential transition. Papadopoulos reported to jail on Monday after a judge denied his appeal. Flynn is scheduled to be sentenced next month, while Gates continues to cooperate in the investigation, noted The Hill. While Mueller is investigating possible collusion between Trump's campaign and Russia, Trump has reportedly been informed he is not a target of the probe. Nevertheless, the president last week responded to written questions from the special counsel on collusion.